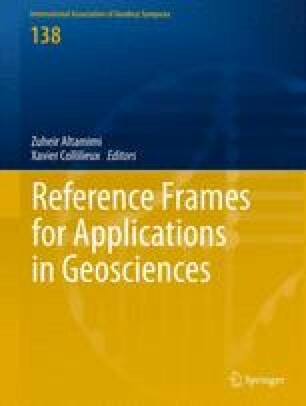 A conventional transformation between different realizations of a vertical reference system is an important tool for geodetic studies on precise vertical positioning and physical height determination. Its main role is the evaluation of the consistency for co-located vertical reference frames (VRFs) on the basis of some fundamental ‘datum perturbation’ parameters. Our scope herein is to discuss a number of key issues related to the formulation of such a VRF transformation model and to present a few examples from its practical implementation in the comparison of various existing vertical frames over Europe. Urs Marti from the Swiss Federal Office of Topography (SwissTopo) is acknowledged for providing the Swiss height data from the EUVN-DA project.